Woodland wonder surrounds you at Hickory Hideaway Cabins now offered with approx 26 ac. 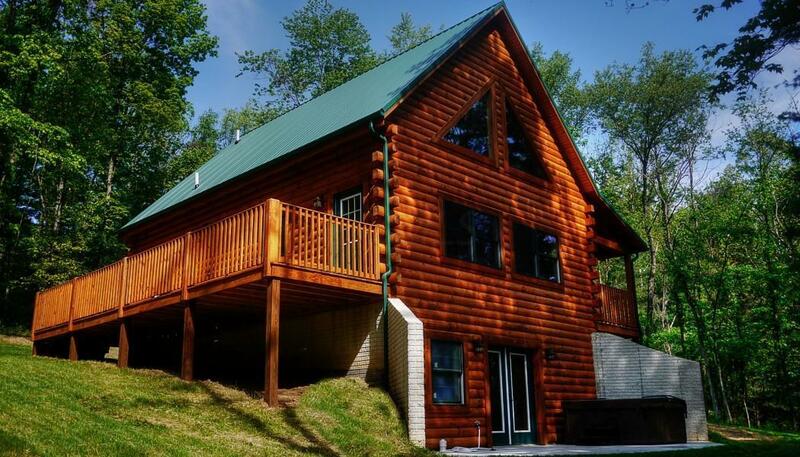 a 3BR/2BA home, retreat or vacation rental lodge and 1BR/1BA guest cabin. Well constructed log cabin and log sided guest house are meticulously maintained as are the trails, pole building & horse corral. Conveniently located between the Hocking Hills State Park destinations and Wayne National Forest, the cabins currently cater to the diverse Hocking Hills visitors and is a hunter's paradise in season. Underground electric, Old Straistville water, private septic and Frontier internet service. Qualified buyers may obtain confidential occupancy and financial information. Add'l 20 ac m/l available. This property sold as originally listed with all 46 ac to one buyer but in 3 parcels.